Deputy Commissioner Vikas Garg has stayed the implementation of hiked tuition fee and other charges till April 20 and asked the Additonal Deputy Commissioner to complete his inquiry by that date. Assurance to this effect was given by the Deputy Commissioner to representatives of the Hindu Sikh Jagiriti Sena, who had been heading an agitation against the fee hike by the CBSE-affiliated public schools. 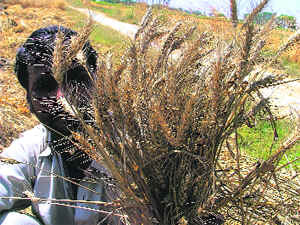 Panicky due to inclement weather conditions in the recent past, farmers of the district have started distress harvesting of wheat crop despite warning by agricultural scientists to wait for a few more days for the crop to dry completely. Wheat crop on 7 acres at Ghulal village was gutted today.The crop belonged to Gurnam Singh, Gurdeep Singh, Sukhdev Singh and Gurmail Singh. 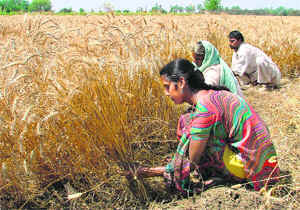 A combine was harvesting the crop in the fields of Gurnam Singh at about 2 p.m. when fire suddenly broke out. It spread to other fields within a short span of time. People working in the fields soon gathered at the site and tried to control it. The Ludhiana Municipal Corporation, which had virtually failed to take any action against the increasing number of dogs in the city, seemed to be waiting for a tragedy like that struck a Moga village on Thursday where a 14-year-old child was devoured by dogs. 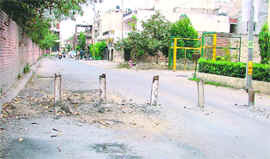 The contentious issue of the gate facing Kitchlu Nagar has gained momentum in the wake of the upcoming elections. During the earlier assembly elections, residents were up in arms against Vice-Chancellor KS Aulakh over the closure of gate. The gate was finally opened for the residents after the orders of current Vice-Chancellor Prof MS Kang. A man allegedly beat up his estranged wife when she reached home from a gurdwara last evening. The victim Paramjit Kaur, a resident of Shimlapuri, alleged that her husband Manpreet Singh and father-in-law Surjit Singh, along with a few people assaulted her. A Majority of the promises made during the election campaign turn out to be ones that are never kept. 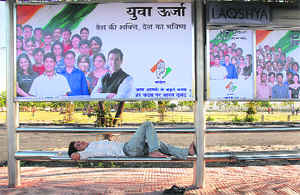 The bulk of election manifesto and speeches holds ground only during the election process. The Mathematics Teachers’ Association today expressed its resentment over the delay of the ACP (assure career programme report) by the DEO. The district unit of the association today conducted a meeting under association president Gurbachan Singh and secretary Jaswinder Singh Gill. 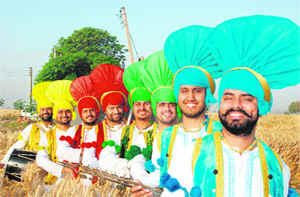 Gurbachan Singh expressed concern over the show cause notices issued to the mathematics teachers, who had less than 10 per cent results and the way the DEO marked repeated objections over the ACP reports. With the opening of central election offices by Shiromani Akali Dal and Congress candidates Gurcharan Singh Galib and Manish Tewari, the electioneering in the Ludhiana parliamentary constituency has picked up. Both candidates have mobilised their workers and street meetings and rallies have become a routine. The basic life support (BLS) health care provider course conducted by the department of anaesthesiology and resuscitation at Dayanand Medical College and Hospital (DMCH) concluded today. Thirty two participants, mainly from Lord Mahavira Homoeopathic College and the DMCH, were part of the course. He became an actor by chance. After completing his MBA, he was doing a job when one fine day his sister filled out a form for Gladrags model hunt and lady luck smiled at him. After that there was no looking back for Sandeep Rajora. The film Coffee House director Gurbir Grewal and actor Aman Dhaliwal were in the city during its special show here. Dr Ranjit Singh Dhaliwal, a leading oncologist in the USA, has come here to his native city, with the mission to set up a state-of-the-art cancer care centre. Ludhiana, April 12 They do tough jobs, but what they get in return from the Ludhiana Municipal Corporation is just hollow promises. Around 1,000 sewermen risk their lives to keep the sewers of the city working and i n perfect order.Most of them said that the Ludhiana Municipal Corporation had not given them anything except announcements. 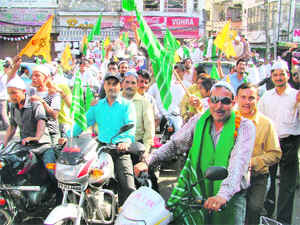 Activists of Majilis Ahrar Islam-Hind today took out a motorcycle rally to campaign for the SAD candidate from Ludhiana, Gurcharan Singh Galib. Jails minister Hira Singh Gabria, president of the majlis Shahi Imam Maulana Habib-ur-Rehman and Galib flagged off the rally from Field Ganj. A spectacular cultural programme and prize distribution ceremony at Dumra Auditorium late in the evening yesterday marked the end of “Spundan”, annual employees sports meet. The employees of the DMCH and the Hero DMC Heart Institute presented a colourful programme on the occasion. At the "Punpedicon 2009", the annual conference of the Punjab branch of the Indian Academy of Paediatrics (IAP), hosted by the Ludhiana district branch here today, Dr RK Aggarwal, former president of IAP, said the academy was committed to the improvement of health and well-being of the children. The Congress candidate from Ludhiana Parliamentary constituency Manish Tewari today said his party had worked for every section of the society, irrespective of caste creed or colour. He said his party had given special status to the Dalits and the downtrodden. The Shiromani Akali Dal today inaugurated the election office in Khanna. A large number of Akali workers and senior leaders visited the office. Baisakhi was celebrated with enthusiasm at USPC Jain Public School and Bhartiya Vidya Mandir, Kitchlu Nagar here. The children performed bhangra, giddha and recreational activities. They were told about the background of the festival. Rajinder Kumar Gupta (43), a resident of Bathinda, has been cycling for the past around 20 years to spread the message of peace and harmony among the people. A brace each by Kiranpreet Singh and Sachin Singh helped Prithipal Singh XI to register an easy 4-0 victory over Mohinder Partap Singh Grewal XI in the double leg phase of the week-end annual Six-a-Side Hockey Tournament, being organised by the Ludhiana Sportsmen Welfare Association, at the Prithipal Singh Memorial AstroTurf Stadium on Punjab Agricultural University campus here today. Fine off spin bowling by Tarsem Devgan (4 for 20) and an equally useful contribution with the bat by Mohit Khanna (80 n.o.) enabled Ludhiana Media XI to overpower Lead XI by seven wickets in a Twenty20 cricket match played on Arya College ground here today.